Call to arrange a visit! information for your next project. New Guild Studio has been in the liturgical arts field since 1991. 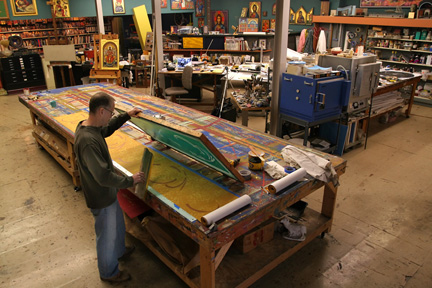 The studio in Braddock, Pennsylvania is often filled with inspiring works for one of the thousands of churches throughout the United States. 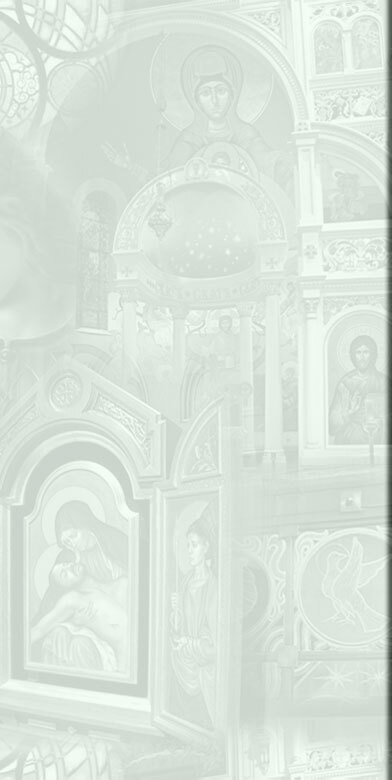 All pieces are produced here with the skill needed to express the liturgical image. Over the years, the company of four - David and Suzann Miriello and David and Mary Korns - have completed numerous sacred art projects that range in scope and scale from the design and production of a single chalice to the renovation of an entire church. 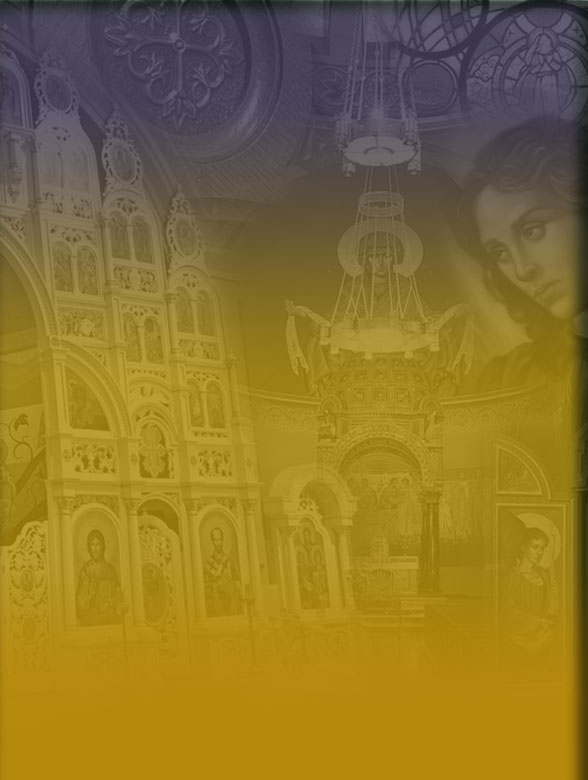 We specialize in, but are not limited to, the completion of many different original religious art forms, such as liturgical paintings, both murals and small-scale works, traditional byzantine iconography, church appointments and furnishings, altars, tabernacles, baptismal fonts, distinctive donor memorials, columbarium design and fabrication, stained glass, sculpture, gold leaf decoration, copper enamels and so much more. We design and produce all of this work in our Braddock, Pennsylvania studio.Over the years, we have developed an extensive knowledge of traditional church design. That, in combination with our artistry, enables us to sensitively reflect your worship style and devotional requirements. We have worked with churches throughout the United States and Canada. With regular and extensive communication, we are able to produce uniquely beautiful work that is designed specifically for its intended setting. For large renovations and construction projects, we have organized a team of experienced craftsmen and professionals capable of translating our designs to realize the finest outcome for you, our client. New Guild has intentionally remained small. While producing the work with our own hands is most personally gratifying, it also ensures that our client will receive the best outcome, as we are personally responsible for the quality of work. Following this work ethic has permitted us to maintain both artistic and project integrity from inception to ending. awakening in them the possibilities of the eternal. All content © 2010 New Guild Studio Inc. All rights reserved.